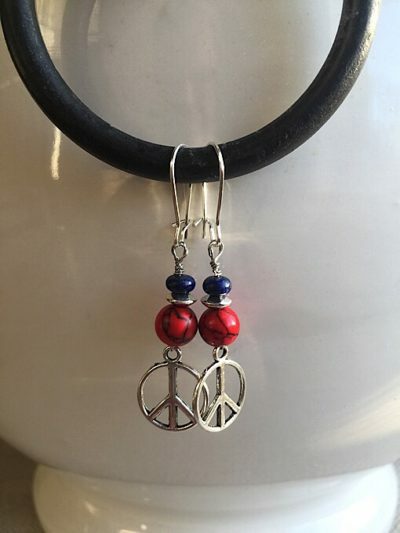 Lovely silver & black dangle design! 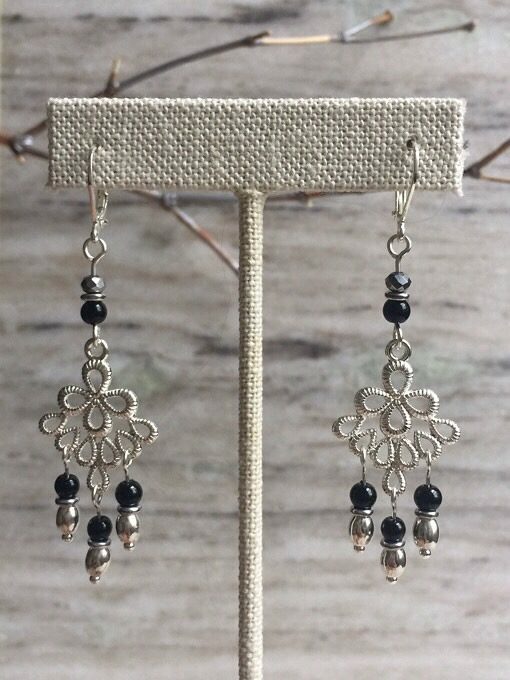 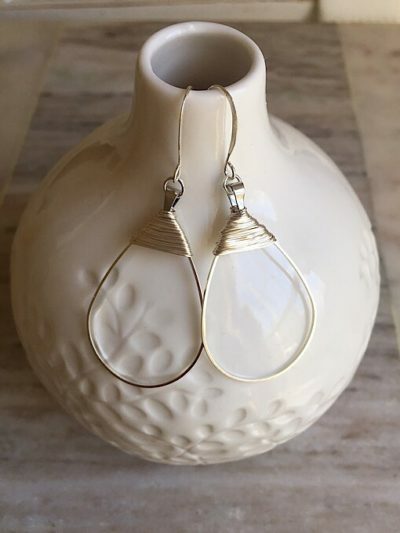 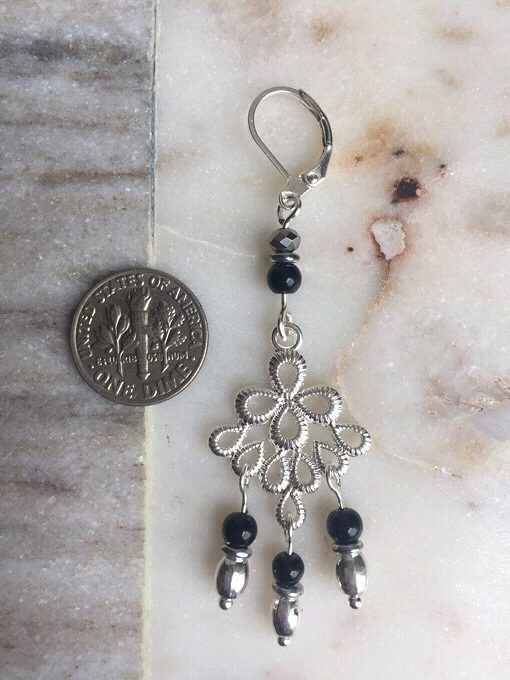 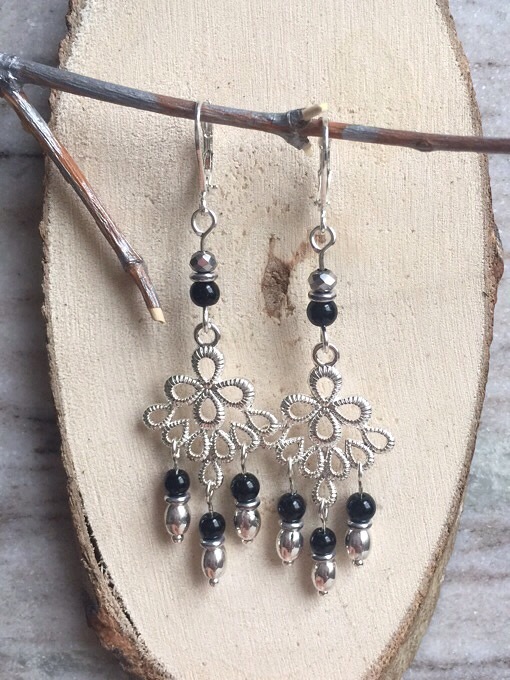 This design is a blend of faceted gray crystal, black glass beads, silver-plated filigree teardrop links and lever-back earring hooks. 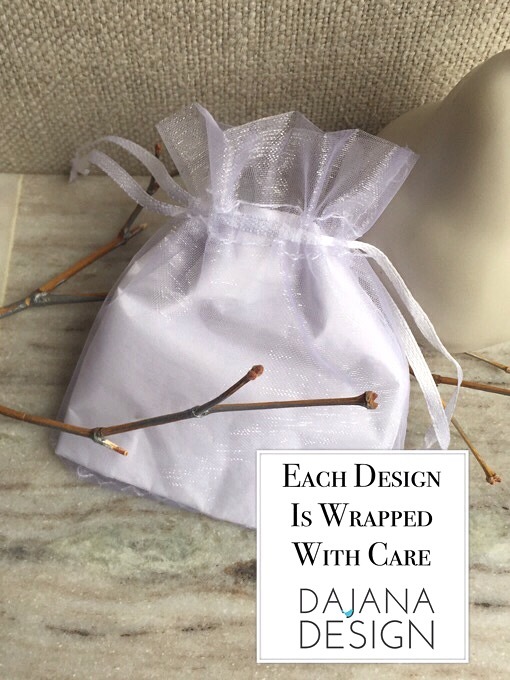 The overall length measures about 2.75 inches.